On Tuesday, Nov 6th, you’ll see great people like Rich Cordray, Danny O’Connor, Rick Neal and Joyce Beatty on the ballot. They are working together to put people first. Restoring local funds to keep our families safe. Your vote matters — and we can’t take anything for granted. Grab a sample ballot online at fcdp.org/myballot and support the candidates with the integrity and values we need in Franklin County, Ohio and the nation. 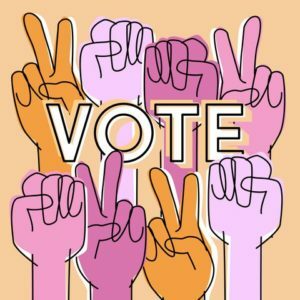 If you need help making a plan to vote, check out iwillvote.com to confirm your polling place, get voter ID information, and more. Your can cast your ballot tomorrow from 6:30am to 7:30pm. P.s., Remember your official Democratic sample ballot when you vote on Tuesday, Nov 6th, 6:30am to 7:30pm!